Brides… you won’t want to miss today’s post! We’re asking the age-old question and answering it once and for all: “Do I need a wedding album?” YES. Yes, you do. Read on to find out five reasons why you need a wedding album and score a super-special limited time offer… after the jump! You’ve spent many, many months planning the biggest day of your life. Yes, weddings can get expensive, but one funny place brides decide to cut back on is their wedding album. Why? 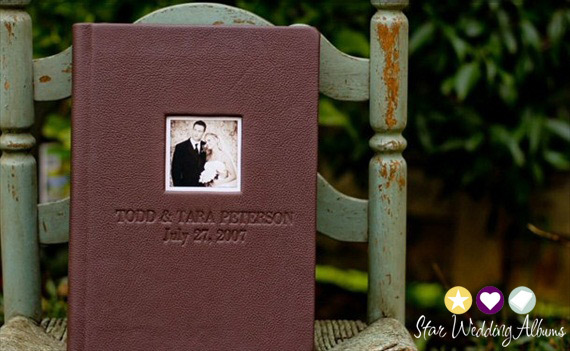 Modern technology now lends itself to more do-it-yourself approaches (some photographers offer digital copies of all images so brides can print and design albums from home)… but nothing beats a high-quality wedding album. It’s true. We’ve heard horror stories from brides whose photographers have sent digital photo copies but they were corrupted and unable to be opened. Countless other couples who request just the digital copies of the photographs tend to hold those photos hostage on a flash drive for years, never to see the light of day. And, we’ve heard from couples who decided to design and print their own album from a large print warehouse online and realized photo bleeding and poor binding quality. Don’t fall into the trap and allure of ‘just the digital copies, please’ – unless you have a killer back-up plan. Unless you make backups, double backups, and store a set in a fireproof, waterproof case, you risk the chance you could lose the digital copies. CDs can even fade over time! Yikes! Plus, there’s always a pretty good chance your computer could explode. (Maybe it won’t explode, but it certainly sounds more exiting than being infected with malware, yes?) Don’t let those files sit on a computer for years. Make a plan to have them printed on a killer wedding album pronto. In the weeks following your wedding and for months afterward, everyone and their cousin will want to see photos from the big day. Why have everyone hover over your computer viewing digital copies? Lame. 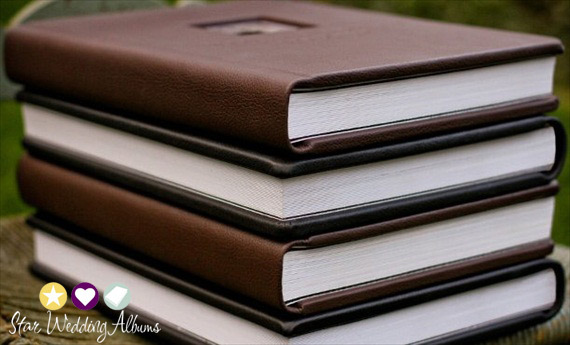 Instead, impress them with a gorgeous leather or hardcover bound book to flip through. 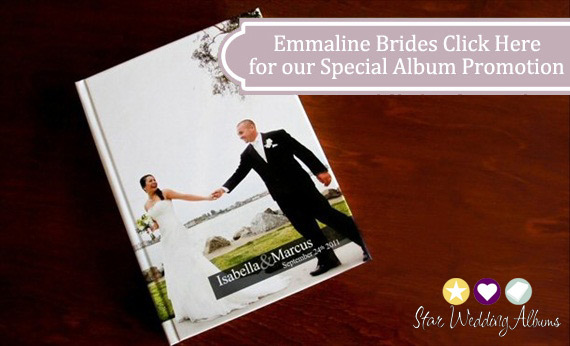 Self-explanatory: if not immediately following your wedding day, when will you order a wedding album? Things come up in life, and you don’t want to look back and wish you had printed it back in the day. Do it! If you’re looking for a high-quality wedding album you can order yourself (or your photographer doesn’t offer one), it’s been five years since your wedding and you never did get around to creating that dream album, or you’re simply planning ahead, now is the PERFECT time to get started. Meet Anne, owner of Star Wedding Albums. While planning her wedding, Anne (like many brides) couldn’t justify shelling out money for a fancy photo album. And, years later, one down-payment on a home and a sweet baby later, she realized she never did get around to ordering that album. (Read the full story here.) 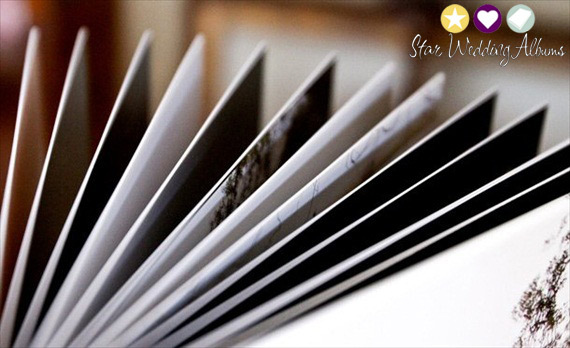 Anne turned her personal story into a business idea and launched Star Wedding Albums, a premium, professional quality album service. 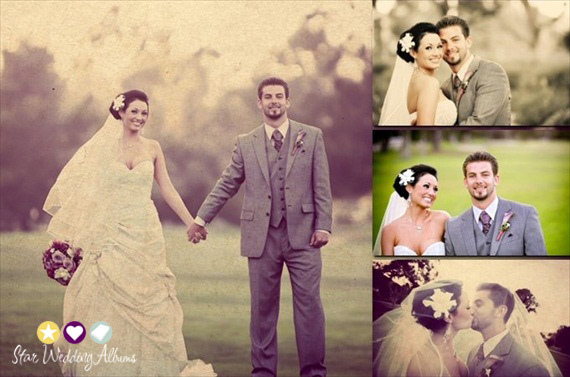 Unlike cheap alternatives, these wedding albums feature pages of REAL photographic pages on REAL photo paper. You won’t see bleeding from ink: only bright, saturated colors. The pages are thick, non-bendable, and supported by a thick archival card stock. (That means the presentation will be just as gorgeous as the images themselves.) Is it personally designed + made with love? You betcha. If you got tied the knot a few years ago, like Anne, but never made a wedding album, it’s not too late. Alternatively, if you want an album made immediately after the big day, it’s a great time to get started NOW. We’ve even teamed up with Anne to offer a killer discount with a 50% OFF for a limited time! Use coupon code emmajuly50. This can be used throughout the month of July… and, soon-to-be brides can purchase the album now and redeem & customize after your wedding day! Find out more here. To see examples, pricing, details on retouching (she’s an expert! 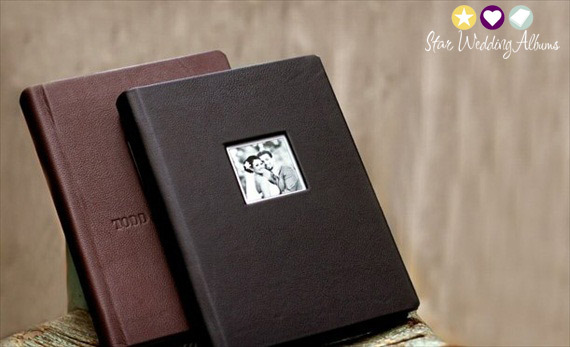 ), and all the details, visit Star Wedding Albums, Featured Artisan in The Marketplace. 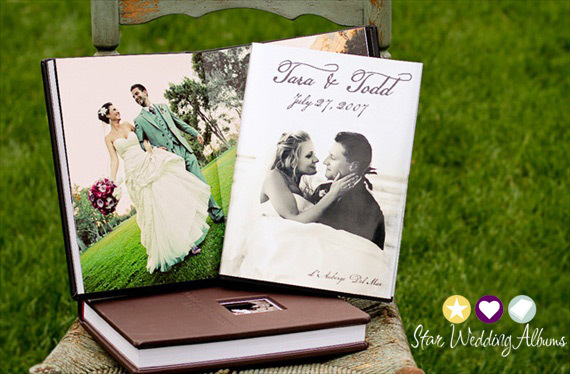 Star Wedding Albums is a Featured Artisan (advertiser) with us. But, do we wholeheartedly adore her work? Absolutely.